Our KÜHLair™ vent system keeps skin KÜHL with 11 total mesh vents, including front, side and back vented pockets and KÜHL's patented airflow crotch gusset and knee vents. 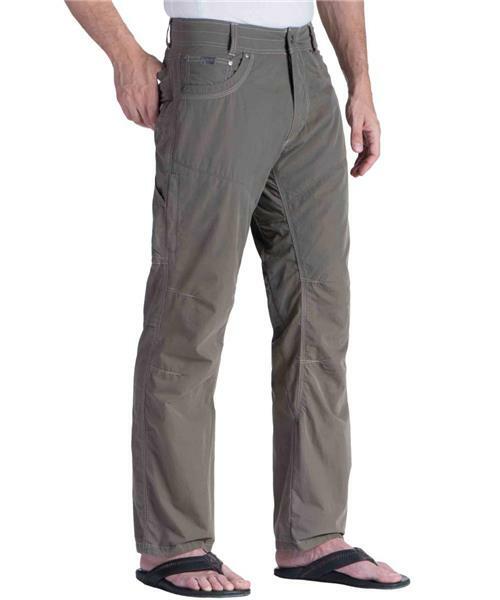 Featuring our Full Fit, Born Free™ gusseted crotch and articulated knees, the Kontra Air pant allows total freedom of movement. Reinforced grosgrain ribbon adds durability. Sit easy and worry free with your wallet and phone secured in 3D and drop-in stealth pockets so comfortable you'll forget they're there.